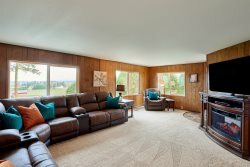 Lifestyle Properties is based in Newberg, Oregon and manages homes throughout the northern Willamette Valley. We've seen the need for more lodging as our beautiful valley becomes a top wine destination and we're here to help! Our passion lies in utilizing existing homes and helping homeowners to convert them into the ideal vacation rental, where guests feel comfortable, secure and at home. We are committed to providing owners with the best experience and exceeding their expectations of property success. We are dedicated to treating each house as if it were our own and providing homeowners with peace of mind and additional revenue. We cannot speak highly enough about Megan Carda and her associates at Lifestyle Properties. One of the things that sets Megan apart from others is she always puts the needs of her property owners and guests first. This is refreshing in business today and it makes us proud to be associated with her. Megan and her associates put extra care in managing our property. Our home is well cared for at all times. Anytime something is needed on the property, she is prompt and professional. She takes care in getting any problems resolved quickly and at the lowest cost possible. The housekeeping staff does an excellent job. More often than not, our guest reviews make a positive comment about Megan's interaction with them. She and her associates always seem to do more than is expected. Accounting monthly and at the end of the year has been accurate and timely. Her marketing has been aggressive and has accounting for many bookings. Above all else, Megan is honest and trustworthy. We highly recommend Megan and Lifestyle Properties. If you like to learn more, please feel free to call us. Megan has grown an exceptional business and I have been a part of her program for nearly two years. Lifestyle Properties provides professional and attentive services to our guests at Bella Collina. Each guest is greeted by an LP employee and debriefed on the property and its amenities. This is important to me as the property owner because it is not only a representation of LP, but also my husband and me. The LP staff is always available for the guests during their stay, and I know they respond timely to any needs or requests. They provide a lovely concierge service to guests, with local contacts in transportation, touring, and dining. They also offer to stock the home with groceries, which I believe is outstanding. 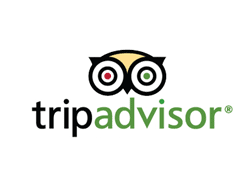 Based on guest reviews (both online and on-site book), this extra service is greatly appreciated. I, myself, have been a benefactor of Megan’s connections when I host family and friends at Bella Collina. Her connections in the Willamette Valley are extensive and very helpful to us. As the homeowner, I have leaned heavily on Megan’s network of professionals when it comes to any of our needs. She has been the sole reference for home repair (plumbing, electric, HVAC, blinds, appliances, etc.) Because we currently live out of state, we are very appreciative of her connections. She and her maintenance team have been wonderful to us. Megan is always available to me when I have questions or concerns about the property. She has been readily available via phone, email or text. I do believe this is a very important part of her services. My final reference would be regarding the cleaning of our home. I know that Megan places the highest expectations on herself and her team to present an exceptionally clean home to our guests. Each time I arrive on property, I am pleased with the state of our home. My husband and I adore our Bella Collina home and look forward to someday making it our permanent residence. Until then, it is incredibly important to us that our “baby” is well taken care of. We love to share our home with others, but we have also worried about surrendering it to others. LP ensures that our home is cared for and looked after for us. We have been very satisfied with Megan and the quality of service she provides to us. Contact us today to discover if our management services are right your own personal vacation rental!